It's been a quiet week here on the bog. Sorry about that. We had a holiday on Monday and it feels like I have been playing catch up ever since. I did keep busy this week. 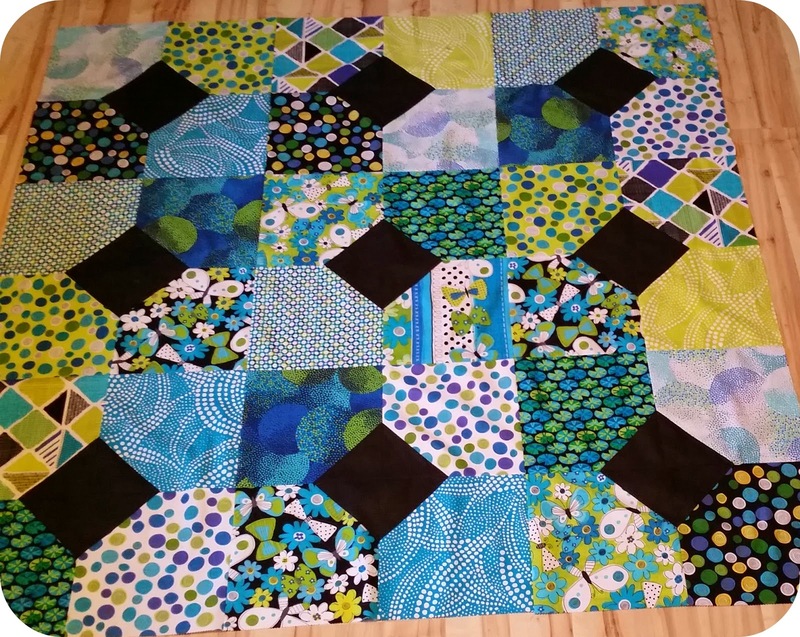 I made this fun, quick and easy quilt Monday afternoon. 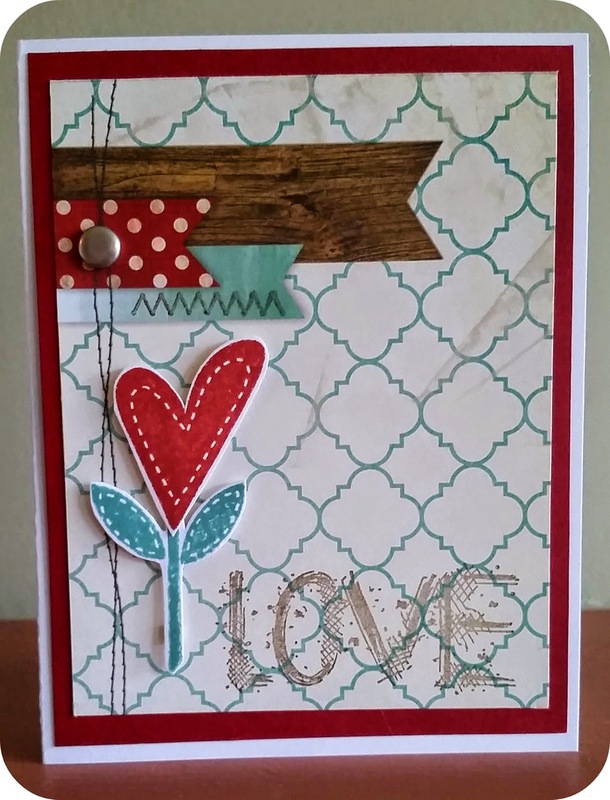 I won a card-making class and got to do that on Wednesday. It was sort of fun but at least I got to spend some time catching up with a friend. We only got to make 2 cards each(and yet the class was valued at $50. There is no way). This was my favorite of the 2. So quick and easy you could still make one up today. I couldn't decided on a binding and one of my boys said go with the red. Cute, cute quilts! Thanks for the pattern links. $50 to make two cards? Ridiculous! Your card is very cute, though.